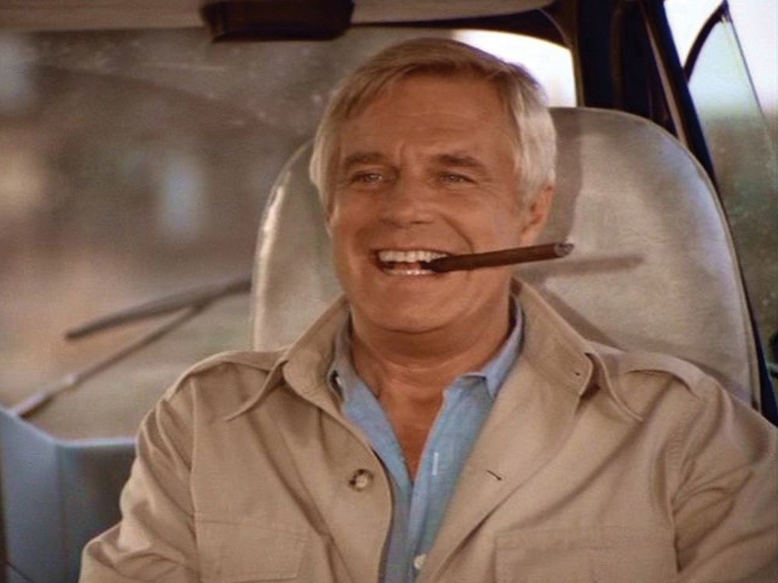 Every once in a while you get that project that seems to wrap up everything that you hope for as a business owner. 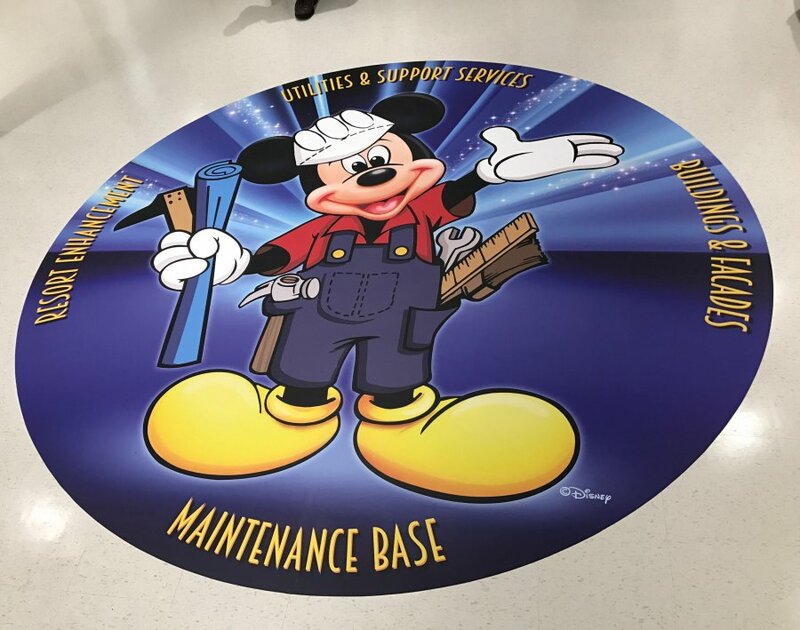 When we were chosen by Disneyland to design, create and install a custom 9’ floor graphic for their maintenance offices, it seemed to hit home (and a home run). This is a company that’s been known for producing stunning art with high-end materials for decades… and they’re asking us to design, create and install something for them? That’s humbling. 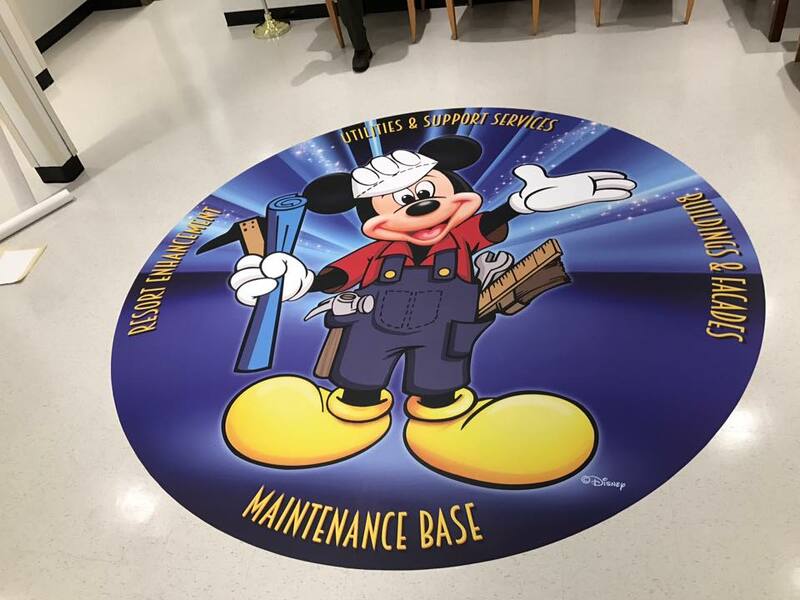 When Walt Disneyland went looking for a company to design, create and install their floor graphic for their maintenance offices they chose Precision Signs & Graphics. We feel honored that they chose us because of our workmanship, quality of materials and quality reputation that we have earned within the community. The high quality vinyl floor decals utilized by Precision Sign and Graphics serving Riverside, CA. 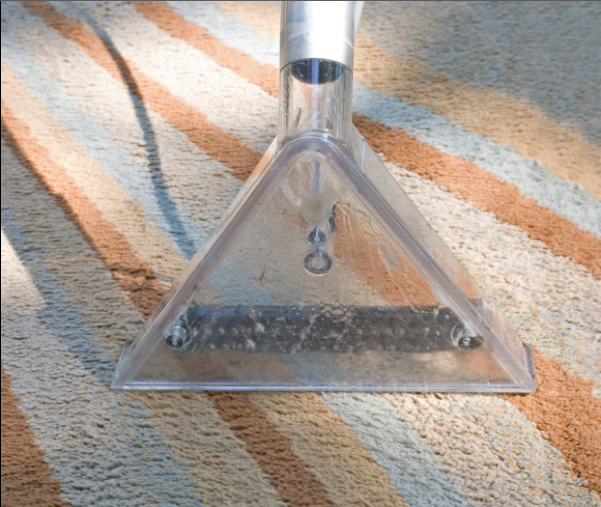 is made from a heavy duty, slip resistant vinyl that resists wear from average foot traffic for around six months. (Location and foot traffic may vary this estimate). The full color format allowed us to match the vibrant, rich colors that Disneyland designs are known for. The high quality vinyl floor decals chosen by Disneyland for the maintenance offices can be applied on low pile carpet, ceramic tile, quartz tile, linoleum and more. In fact the vinyl floor decals can stick on just about anything that you can walk on except for shag carpet. 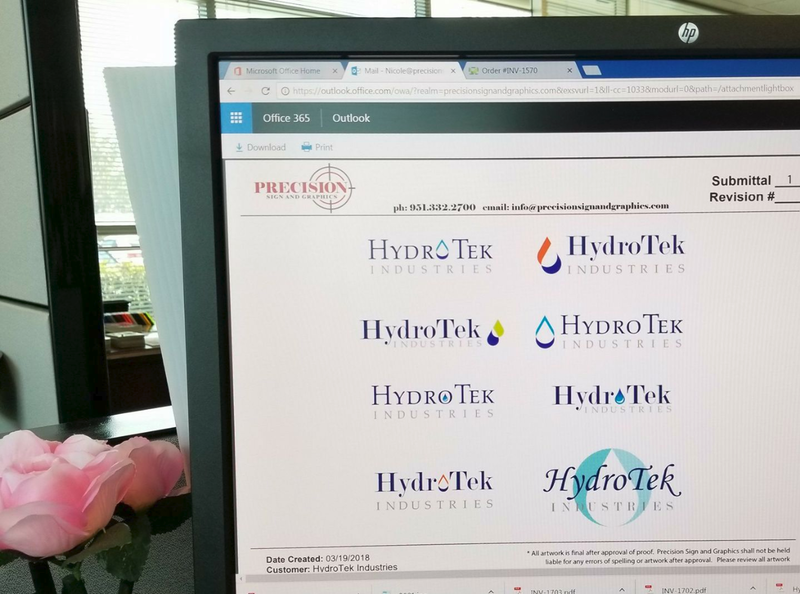 With our goal to seek and build long-term relationships with our customers, this is a great example of some of the values that the owners of Precision Sign and Graphics instill in their own home and personal lives. With a mindset of family and community, Disney has been a representative of these values; it was a pleasure to be able to create a product worthy of their standards. Retractable banners for your Riverside, CA. 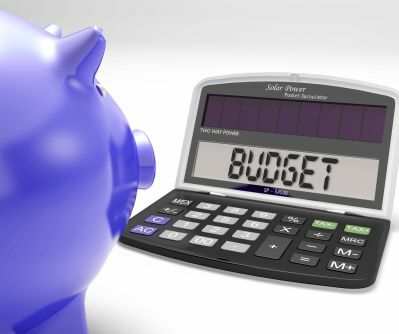 business is a great way to get your message out in a budget friendly way. Whether used in front of your store, at a display table, on the showroom floor or at a tradeshow these versatile retractable banners are perfect to give your business that dynamic representation that sets you apart from your competition. 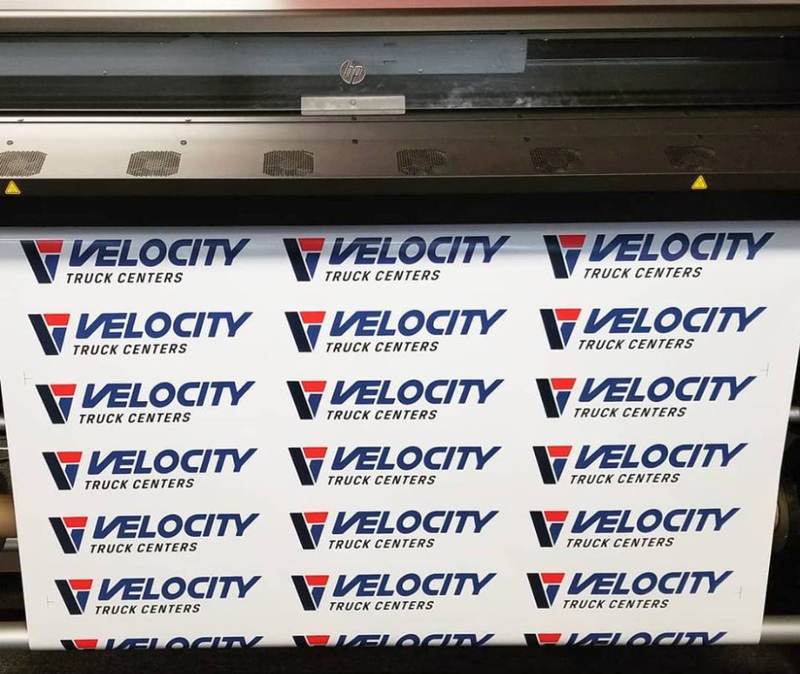 Precision Sign and Graphics is known to be your one stop shop for quality vehicle and fleet wraps plus interior and exterior signs; but did you also know that we specialize in retractable banners? Check out this useful information about retractable banners. Retractable Banner vs. Regular Outdoor Banner. So you might ask what’s the big deal about a retractable banner vs. just getting a regular outdoor banner? In short; it’s all about the presentation. With outdoor banners, you should always be cautious about how much text and graphics are utilized as the outdoor banner needs to be easily seen at a distance, such as alongside the road or displayed above your business. With a retractable banner however, you can be far more expressive because they are designed to be seen at close distance. This lends itself to creativity and presentation to really get that wow factor across; because you are not restricted to the banner needing to be legible at a distance. 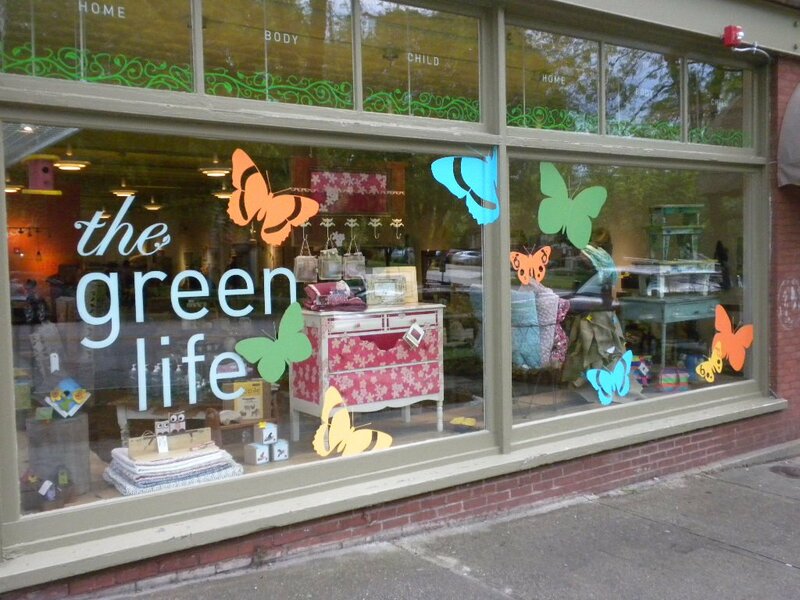 Whether you have your retractable banner in the front of your store, next to a display table, on the showroom floor or at a tradeshow, they will generally be viewed less than a few feet away vs. an outdoor banner at 30 to 50 feet away. When choosing a retractable banner for use in front of your store, advertising specials inside your store, next to a display table, on the showroom floor or at a tradeshow chances are that they will be moved around several times. Especially in a tradeshow environment where the booth and retractable banner are frequently moved from place to place; durability is a must. Choosing a retractable banner stand as well as the material used for the banner is an important decision to make sure you get the best return on your investment. 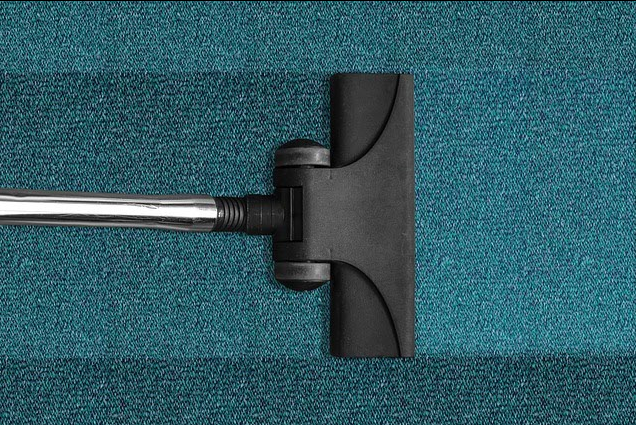 If you are needing to continually replace the unit because you chose inexpensive materials, chances are it’ll cost you way more in the long run than simply choosing quality materials on the first go around. What should I put on my retractable banner? Anything! The great thing about a retractable banner is they are meant to be viewed at a close distance. This means you can go a little more expressive with the graphics and message to really get your point across. Consider retractable banners that you will get a greater return on investment; for example, instead of having a banner say: Sale on May 13th.. Maybe say instead: One Day Sale – Today Only! This way you can reuse the banner the next time you have a one day sale rather than having a new and printed with the new date. You should also consider the environment that the banner is being used in. If you’re in a mall or convention center that has a lot of vibrant colors around you want to make sure that the graphics used for your banner doesn’t fit in, but rather stands out. 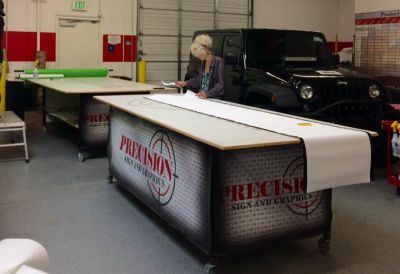 Precision Sign and Graphics serves the Riverside, CA. area with a full range of graphics and sign products to fit your budget. 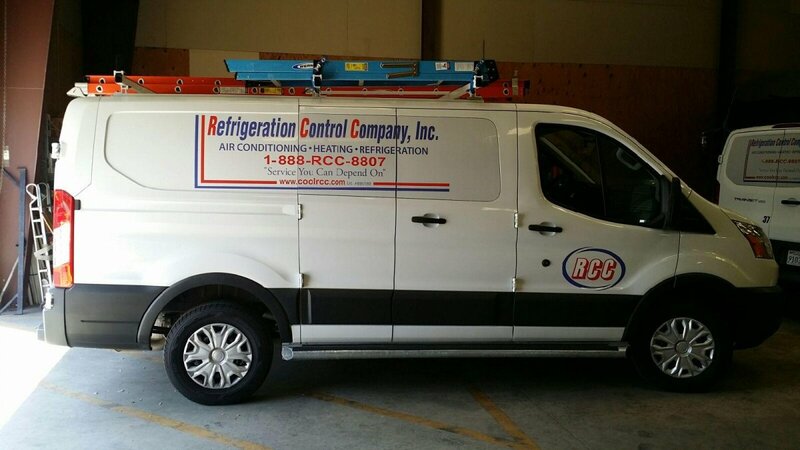 Whether you need a retractable banner, outdoor banner, yard sign, vehicle magnet, partial vehicle wrap, full vehicle wrap, full vehicle fleet wrap… We can handle it all! 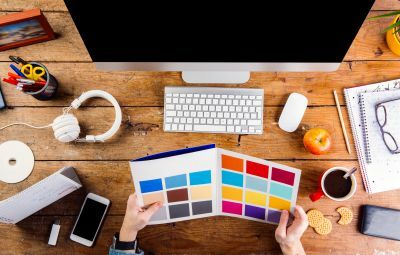 Our in-house graphics team has the experience to provide you with attention grabbing graphics with the understanding of the environment it should be used in, to get you the best return on investment. Be sure to check with our consultation staff for the best options for your Riverside, CA. sign and advertising needs. The answer is a direct reflection of how businesses have had to react to popular methods of marketing that were available at that time. 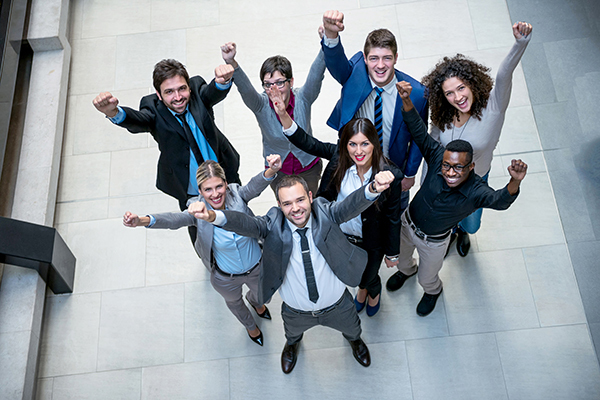 In this article were going to look at how these types of marketing trends have affected business owners in the Riverside, CA. area and how even now marketing trends are changing that can significantly affect the future of marketing. Since 1886 the phonebook (yellow book) has been a primary source of letting the community know how to contact businesses in Riverside, CA. and throughout America. As the phonebook grew in popularity so did its size. In 2006 the Cincinnati, OH. Yellow Pages phonebook weighed in at a whopping 3.5 pounds. 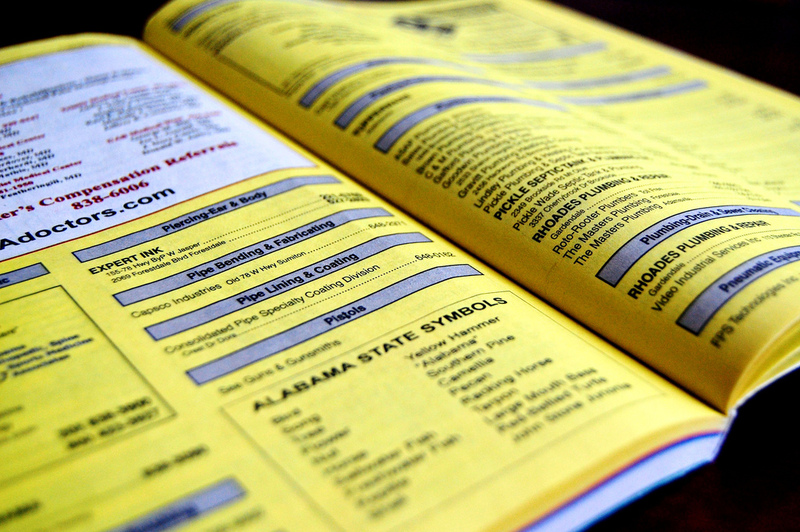 As more and more advertisers found that the phonebook was a primary source of advertising, so began the challenge of how to be found amongst so many others doing the same type of business. In a direct reaction to the alphabetical order of the phonebook, businesses began to change their name to start with the letter “A”. This wasn’t done by preference, it was done by necessity seeing that the phonebook marketing data identified that over 80% of phone calls were made to businesses in the “A’s”! If your business was “Wyatt Roofing” chances were the phone book was not going to be a good way for you to get phone calls. The lesson of the phonebook is that businesses in Riverside, CA. always need to be creative when it comes to being found by their potential customers. Newspapers, flyers, TV and radio advertising all have recommended things to do to be heard or seen above your competition. However, the greatest lesson learned is that saturated mediums of advertising can make themselves obsolete; because, when customers do not see a return on investment they will simply stop using them as a resource. Businesses will continually seek ways to get their message out at the most cost-effective point with the greatest return on investment. 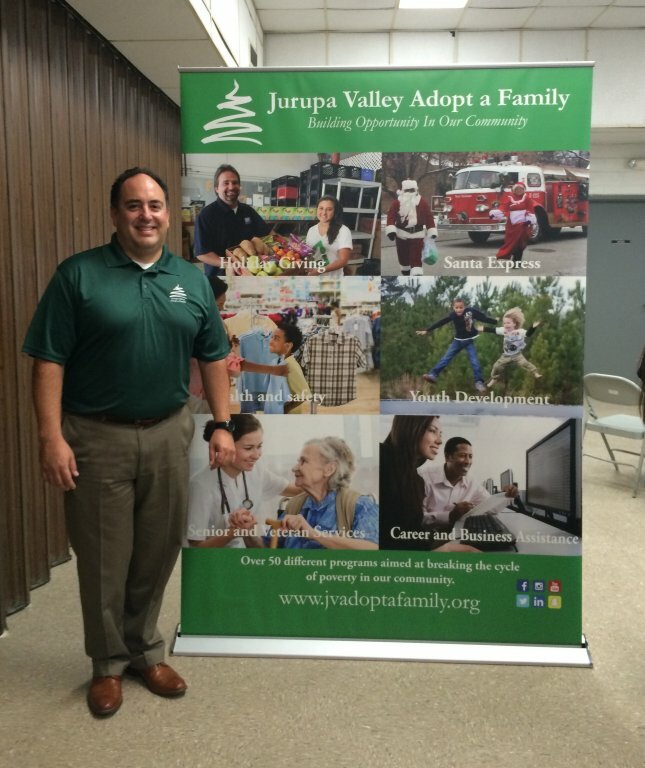 The Internet is quickly becoming the new digital phonebook of Riverside, CA. 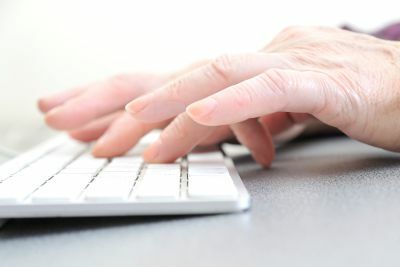 with as many different search engines as there are different phonebooks. In the phonebook days; The Yellow Pages Yellow Book began to buyout and take control of the phonebook market leaving Verizon, Windstream and Bell all picking up the pieces; Google is doing the same as the digital phonebook of today. Dry Cleaner Riverside CA. = 282,000 results. We all know there’s not 282,000 dry cleaners in Riverside, CA. but with Google’s new approach to searches, you are competing with 282,000 references; meaning you have to do more and spend more to rise above the competition. Will the Internet go the way of the phonebook? Google continues to make changes in the attempt to handle the extreme volume of billions of websites generating trillions of webpages. Recent trends however, have identified that Google is pushing advertising to a single source supplier… Themselves. It is Google’s hope that through manipulating circumstances they can make it to where a website can only be found online if they are paying Google directly to be found. (Adwords or PPC) This puts us right back to where the phonebook started where companies in the Riverside, CA. area and abroad will need to reorganize their name, structure, domain address and website to directly cater to Google’s needs so that they might be found. Any good business consultant will tell you that putting all of your advertising dollars into a single source is bad business. By spreading around your advertising budget to different mediums in the Riverside, CA. area you stand a better chance of getting a greater return on investment over a longer period of time. Allow history to be a guide when it comes to making long-term plans with your advertising dollars. Be cautious of saturated advertising mediums that have you spending more time “competing with the Jones’s” than actually getting out your message. Precision Sign and Graphics serving the Riverside, CA. area represents an area of marketing that has seemed to never go out of style. There has always be a demand for quality graphics and signs that help set you apart from your competitors. With many different ways to get your message out through signs, banners and vehicle wraps of all shapes and sizes; we can help you accent your advertising with attention grabbing graphics made on to high quality materials. An area that is in continual flux is the buying habits and consumer trends that many industry’s experience throughout an extended period of time. Businesses that have been operating for more than 20 years typically have seen a major shift in consumer buying patterns 4-6 times (varying based upon retail or wholesale exposure) that has caused them to rethink or reorganize their business model. 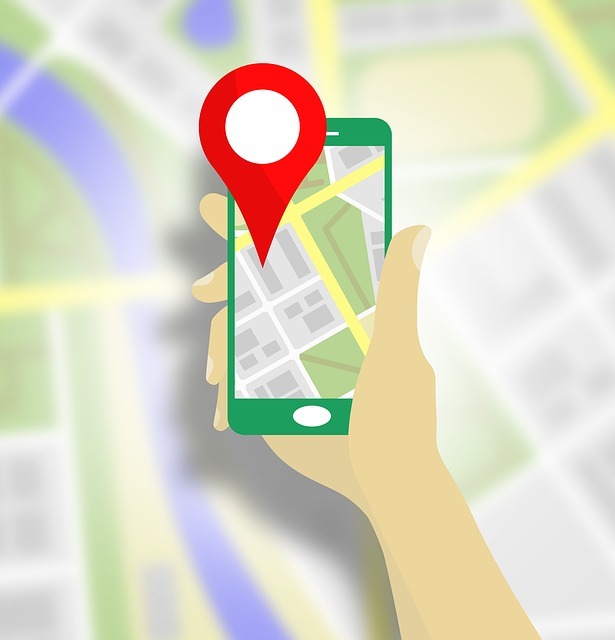 It is important to identify these trends for your particular market in order to make sure that you are getting your message out appropriately to your customers in the Riverside, CA. area. Many of these trends are fueled by the media as they place emphasis periodically on different characteristics of business; so, it’s important to make sure that you follow what’s being said about your particular industry in the media as well. The Riverside, CA. area is not exempt from these shifts in consumer trends. Precision Sign and Graphics likes to keep its finger on the pulse of marketing trends as to better serve their customers; let’s look at some information these consumer trends and examples on how it can help you with your Riverside, CA. business. 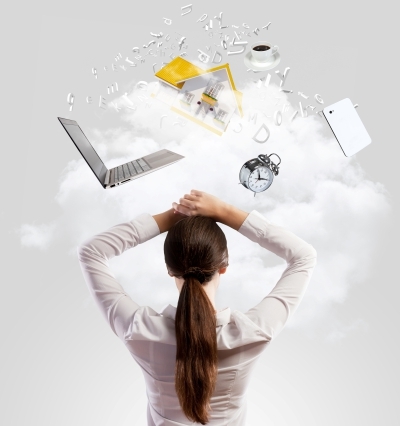 Consumer trends are: patterns of buying habits that are tracked based upon economic, political or social influences. Properly understanding how these trends work will help you in your marketing efforts in order to make sure that the message about your Riverside, CA. area business is being well received. Probably the most volatile consumer buying market that’s been recorded over the past 50 years is small arms sales. The purchase of guns in America can be directly tied to consumer trends, especially when comparing to political or social influences. When the media and Hollywood come out against guns, sales suffer. In an economic downturn where crime rates rise, sales go up. When the political culture from the federal state and local governments focus on guns as a leading cause for crime, sales suffer. When this political culture shifts to individual and civil liberties, sales go up. As you can see this roller coaster of consumer shifts can significantly impact a small business, even in the Riverside, CA. area. These same trends can easily be tracked in major markets such as the automotive industry, advertising industry and healthcare industry. (Many analysts use these three industries to measure the pulse of America’s consumer buying habits). In 2006, a shift in political structure brought about a change in cultural philosophy that significantly impacted small businesses across America and in Riverside, CA.. Mayors of cities were desperate to bring in big business for tax revenue dollars at the very expense of small business owners. The media was pushing big-box stores with imports from China as the “New American Mindset”. By 2010 analyst were reporting some of the lowest numbers recorded in 50 years for small business startups with direct ties to fears regarding the affordable healthcare act, its effects and misunderstanding of how it did would be implemented. This instability of four years forced businesses to begin to diversify to survive. Pet stores became retail outlets selling toys, food, pet training classes seeing a few (oddly enough) with pet funeral services. The explosion of small-town pharmacists turning into retail sales centers selling magazines, alcohol, matchbox cars, etc. to keep up with the box store giants of Walgreens and CVS was quite apparent in the industry. Newspapers began offering flyer distribution services, printing, direct mail and a shift towards website sales. All across the country small businesses were forced to either diversify or fold as the consumer shift was the one stop shop towards convenience. In 2014 a consumer shift was noted in the home-improvement industry that signaled that the One Stop Shop… may have stopped. As the housing market was seen to correct itself and consumer confidence began to return in the Riverside, CA. area, so did the desire to get quality service and a better product. A demand for specialized services started to increase as customers no longer wanted the generality of a home improvement service but wanted the specific expertise of a painter, HVAC, plumber or flooring expert. This trend continues to develop through 2017 as we see a consumer trend that desires better quality materials and a more laser focused level of workmanship where small businesses are specializing in a particular product or service. Customers in the Riverside, CA. area are now demanding to know their doctor and pharmacist my name rather than a number on an ID card. They expect personalized service from their auto repair facility and don’t mind paying extra. More and more companies are discovering this change in trend as you see marketing companies shift to focusing on those that “specialize in:” certain products or services. While there are still certain demographics in the Riverside, CA. area that have become comfortable with the “convenience” mindset; even they have returned to buying pizza from the pizza place rather than from their local gas station. 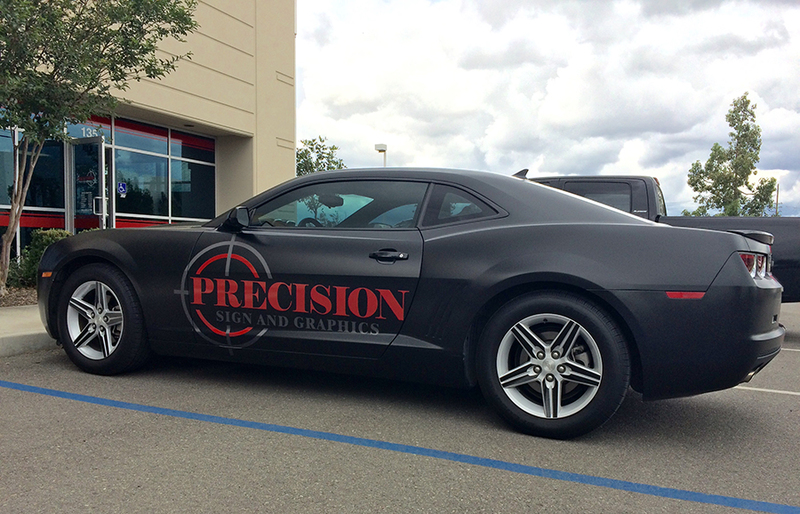 Precision Sign and Graphics is pleased to be your full Service Sign and Graphics leader, specializing in vehicle and fleet wraps. 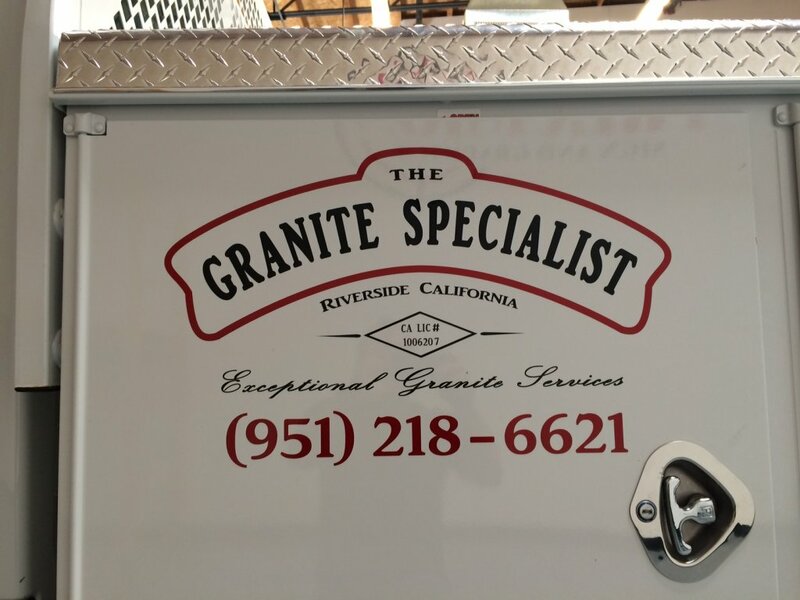 We have the equipment, knowledge and expert staff to handle your sign and graphic needs for the Riverside, CA. area.